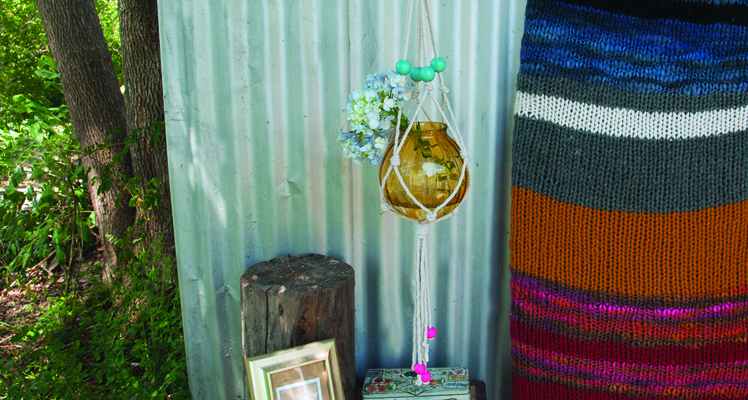 FK chats to Yvette and Miranda of DIY macramé kits and readymade macramé hangings design label Macramake, from inspiring Byron Bay! 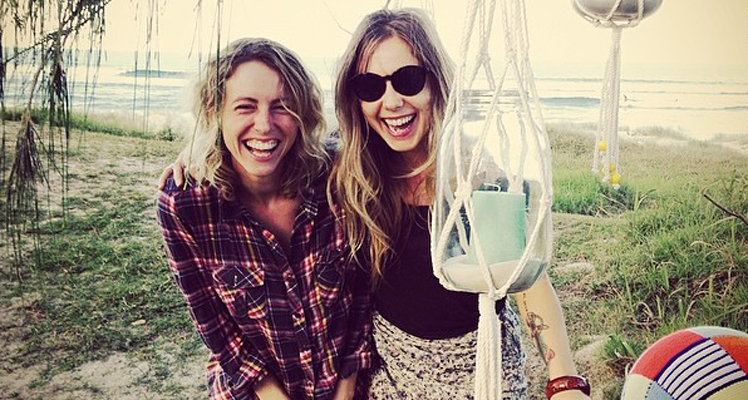 These clever ladies will be making the trip north later in the year for our Brisbane SS14 markets! 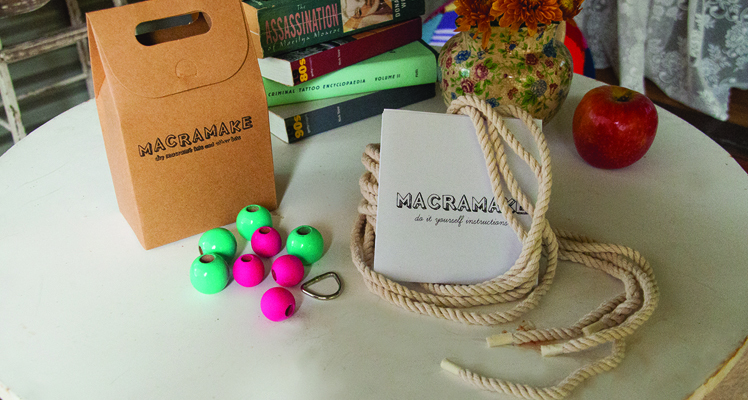 Tell us about your label Macramake and what the concept is behind it? 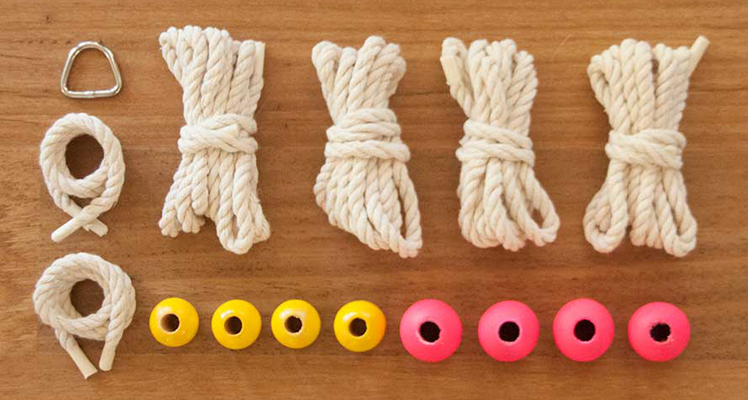 We started making macramé hangings for ourselves mid 2013 and found that it was difficult and expensive to source aesthetically pleasing rope and beads. When we finally did we realised we enjoyed the process and results so much that we thought everybody should have macramé in their lives! 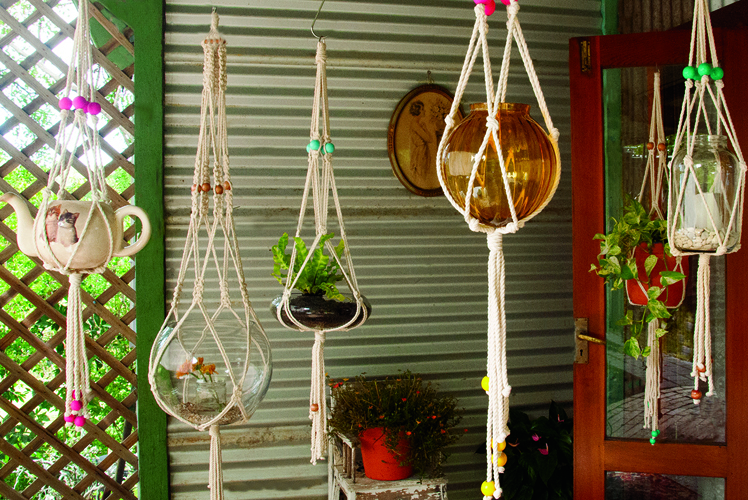 We offer DIY macramé kits and readymade macramé hangings because we understand that some people love craft projects and some people just love to buy beautiful handmade items. 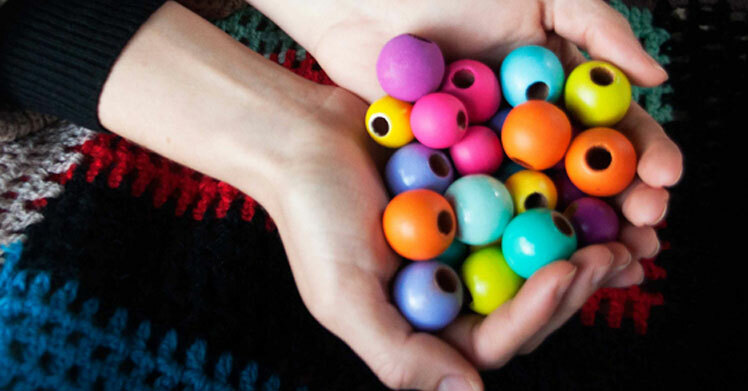 What makes our products unique is that we paint all the beads ourselves, use natural cotton rope and offer easy to follow DIY instruction. Oh, and service with a smile… or a giggle. We both grew up in Adelaide and throughout high school we were really close friends, very creative and really into music and the arts. Yvette moved to Byron in her early 20’s, worked in fashion and studied Graphic Design and Art. Miranda traveled extensively and worked in Publicity and Marketing. When Miranda relocated to Northern NSW a few years ago we rekindled our creative romance and styled Miranda’s entire wedding ourselves in 2013. After the wedding was over we had to fill the craft void we both felt so Macramake was born. We have noticed the thing that inspires our work the most is how enthusiastically our customers receive it. We love the positive feedback at markets and seeing how our customers install their hangings in our instagram feed has always been a source excitement to us, they are so clever! Also the ability to make work fun and weave it in to our lifestyle and friendship so effortlessly is inspiring. This is what keeps us motivated – the opportunity for this to be our lives. That and the fact we are both die-hard art and craft fiends! What is your creative workspace like, and what inspires you both about your surroundings? We work between our two home studios. We have set up a brilliant craft room and office at Miranda’s house two streets back form the beach. What’s great about that is that we can have a swim, surf or walk before or after crafternoon. Miranda’s husband is usually somewhere with the cat crooning on his guitar too so it’s a very homely vibe. Yvette lives on a beautiful farm out of town and this works great for our photo-shoots. 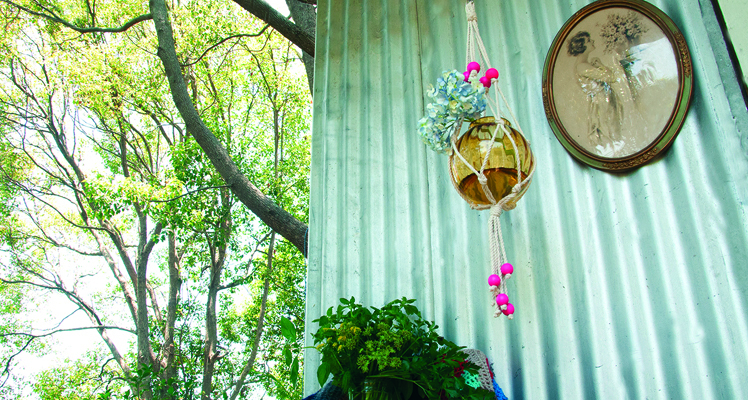 We can really get creative and all the fresh air is great for ideas! 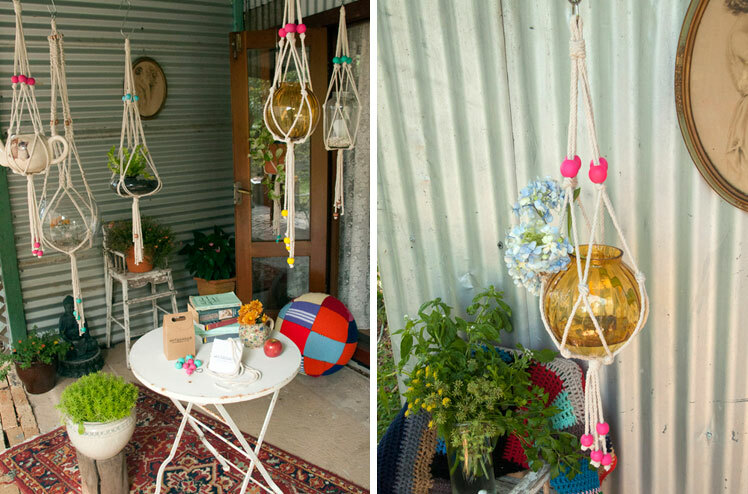 Byron is just such a magical artisan area – you can’t not be inspired here. In the beginning we were challenged by the choices! W e had so many ideas and could have focused our energy in so many directions. It was hard to know what the best way to go was without any experience or evidence to make an informed choice. We had to rely on our shared intuition and it was important that we agreed. We love it so much, we love the process of creating and refining our Brand and products until they are what we call ‘Restaurant Quality’ but this process is never finished. We love hearing feedback about how much people love what we are doing and think how we are doing it is great. Mainly we just love hanging out together, laughing and making beautiful things and positive vibes! What new plans do you have for Macramake this year? So many plans, we are so excited to be a part of the Brisbane Finders Keepers this November and leading up to that The Bangalow Designers Markets in September and our regular Byron Markets of course. We love the one of a kind hangings and offerings we’re able to produce for the markets so we hope to keep refining these so everyone can find one that suits their own eclectic tastes. We are always busy refining the product and packaging so we plan on being busy with that and hopefully some new bits and pieces. Watch this space!